Are you always quick to chalk it up as “bad luck” But what are you doing to create “good luck”? 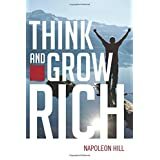 “Think and Grow Rich” has what you need! The book “Think and Grow Rich” by Napoleon Hill is the success Bible! This is the place to start when searching for success. In this book Napoleon Hill details 30 Major Causes of Failure… Here we go. 30 Major Causes of Failure. These are factors that will cause us to fail, IF WE DO NOT REDIRECT our course or path. lack of proper physical exercise, improper breathing. 8. Procrastination-Procrastination is one of the most common causes of failure. acquire better tools as you go along. 11. Lack of control of sexual urges. relationship is harmonious, failure is likely to follow. 20. Lack of concentration of effort- The jack-of-all-trades seldom is good at any. 23. Intolerance- The person with a closed mind on any subject seldom gets ahead. 24. Intemperance- Most damaging are overeating,alcohol, drugs, and sexual activities. Overindulgence in any of these activities can be fatal to success. pay by loss of reputation and perhaps loss of liberty. with which to think accurately. If you found value here, please like, share, comment and TWEET!!! IF you’d like me to work with you on achieving FREEDOM, hit me up. Are you ready for mentorship to take things to the next level? CLICK HERE Did you receive value from this post? Please comment, share and tweet!!! Why am I all over the internet all of a sudden?What Is MLSP? CLICK HERE! I have opportunities in my green energy business and I help others with their businesses. Great post Phil, thanks for sharing. Thanks for reading and commenting Travis! I really enjoyed you post Phil. I have read this book 3 time over the past 20 years and each time I read I learn something I didn’t catch before. Thanks for sharing.